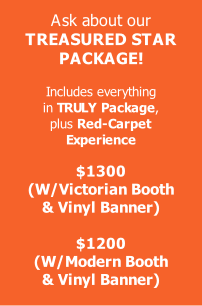 Select one of our packages or build your own! The following are our most popular packages. For special requests, please contact us and we’ll do our best to meet all of your needs! Copies of every photo and video provided at end of event.